Spanish League has announced the new 3 year deal for domestic TV rights worth €2.65 billion (£1.8 billion). The deal will come into play from 2016-17 season to 2018-19. Its a significant increase in domestic rights sale which now follows the equal “distribution model” set by premier league. Before this deal Spanish top division clubs could negotiate their individual deals but with the new law passed in spain Spanish FA sold combined rights of all La Liga teams. 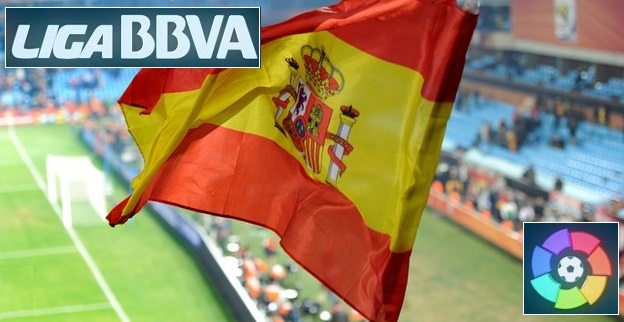 Just like In England where SkySports and BT Sports share the rights in Spain Telefonica, Movistar and Mediapro will share La Liga’s domestic TV rights in Spain. Mediapro will pay €633 million each of the next three season and will have rights to 8 league matches every week. While Movistar will pay around €250 million each of the next three seasons and will have first choice pick for 1 game every week. FC Barcelona and Real Madrid had massive monopoly in tv rights with previous individual deals but Spanish FA made sure that even with the new collective deal Real Madrid and Barcelona won’t lose much of the revenue from TV rights. How the new deal will work ? here are some of the numbers explaining new Spanish La Liga TV rights distribution model below table shows how much money each of the La Liga clubs can make from 2016-17 with new TV deal ? Telefonica, Movistar has the right to show 304 live games every season and will pay €633 million each of the three season making it €1.89 billion for three years. La Liga are also expected to sign much improved collective oversees deal. Currently Barcelona, Espanyol, Celta Vigo and Real Sociedad are not included in any of the international deals but Spanish FA has agreed with the clubs to include them in collective TV packages to be sold worldwide. The oversees deals bidding will start early in 2016. So how the tv rights money will be distributed with new deal ? La Liga has adopted the equal distribution model pretty much based on Premier League’s model. 10% will be distributed among division 2 teams. While the rest of 90% tv money will be distributed with followed model. Pot 3 – 25% is distributed on the basis on resources generation for example number of club members, attendance, ticket sales etc. There is a clause in the new tv deal that no club will get less than what they were getting before this deal. Which means Real Madrid and Barcelona will keep making around €140 million to €150 million a year with new deal as well. Below table has assumed standings of spanish clubs in last 5 years and we see how much money each club will make yearly with new deal. I think there is a mistake in the table with TV rights money. The total amount of money per 20 teams is about 1,85 billions euros, but the real figure is something about 1,56 billions (1.5 bln. per season, 93% distributed among I and II division, 10% for the distributed amount is for II division, the rest is for La Liga. Overseas rights haven’t been sold yet and they are expecting an equal increase with Barcelona and other joining in to the overseas pool. The bottom team is making a bit less than half of what the top team is making. Seems all right to me. Not as good as premier league, but clearly that’s an improvement. “Telefonica, Movistar has the right to show 304 live games every season and will pay €633 million each of the three season making it €1.89 billion for three years. … here it mixes up Movistar and Mediapro. Hopefully it will help La Liga become a more competitive league overall. Currently, it is just a 3 team league and really a bit boring to follow.